Traditionally used for displaying fine Chinese fishbowls, this elegant Oriental stand has a rich rosewood finish that will complement and enhance any urns, vases, fishbowls, or other fine display piece. A center ring reinforces the five beautifully carved legs for extra stability, and it ships fully assembled and ready to use right out of the box. 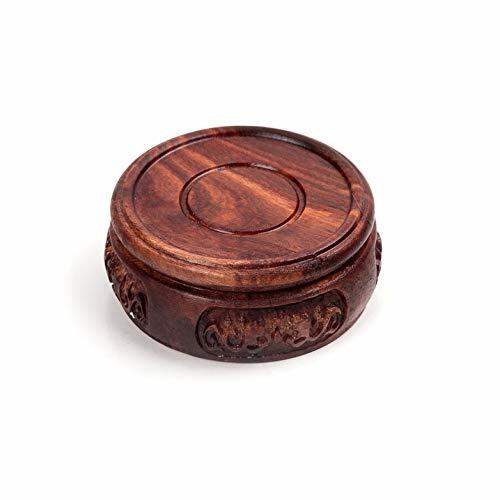 This small Rosewood Jewelry Box comes in either a warm honey or dark rosewood hand lacquered finish with stunning brass accents and a distinctive long life carving on the lid. This elegant room divider is inspired by the traditional use of shoji paper in Japan. Renowned for its beauty, translucence, and lightweight design, rice paper has been used in Japanese homes for over a thousand years. 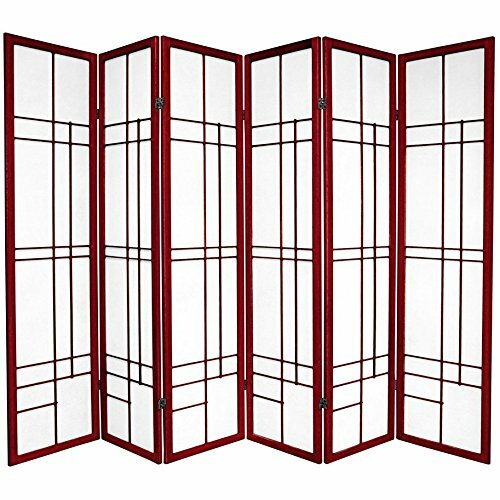 Set inside a chic spruce frame with a double-cross lattice, this folding screen is a great way to partition a room, conceal a messy space, or add a decorative accent to the home or office. This contemporary take on the centuries-old tradition of Japanese Shoji screens is a wonderful blend of new and old suitable for any style of decor. 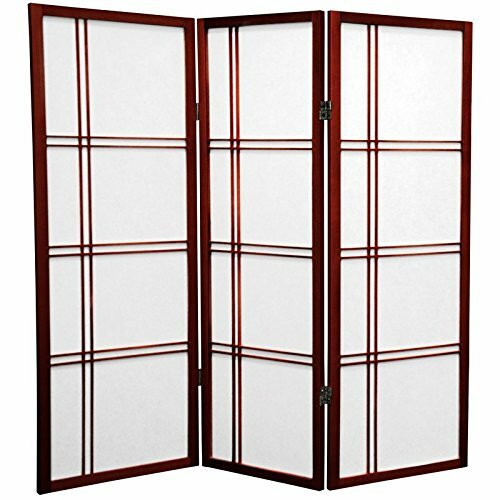 Built of supple spruce and translucent Shoji paper, this screen provides privacy while maintaining an airy, lightweight quality. The geometric lattice is a sophisticated and avant-garde accent that will add a refined accent to the home or office. Express a distinct style and taste with this elegant Bedside Cabinet. This fashionable room accessory is in a class all its own. Hand finished and hand carved by Chinese artisans this unique accent piece adds an Asian rustic flair to any room. Elm wood with matte lacquer finish. Available in Dark Rosewood or Cherry finish. This is a unique, elegantly designed fishbowl stand, hand crafted from solid, kiln dried Rosewood. The antiqued black lacquer accents the fine workmanship of the stand, as well as the fine Chinese and Japanese porcelain planters, fishbowls, and jardinières it's designed to display. Beautiful stand to lift fine oriental porcelains off of the floor; almost two feet tall. Few solid Rosewood display stands, designed specifically for oriental fishbowls or jardinière style planters pots, are as tall as this one, or as beautifully crafted. 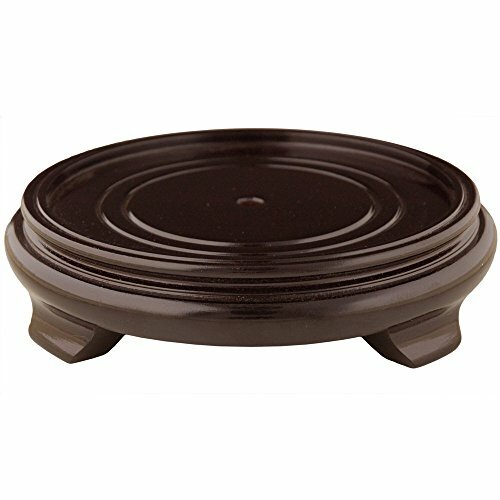 The unique design creates an exceptionally solid, sturdy, and stable base for your favorite ceramic pots, planters, urns, and vessels. 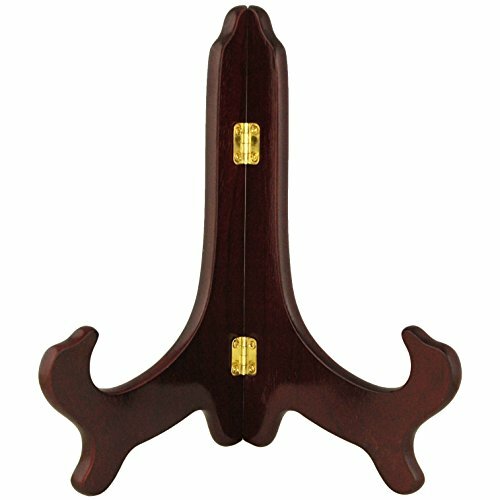 This rosewood plate stand is perfect for displaying decorative plates, framed documents or photographs, as well as decorative folding fans, small paintings, or art prints. Simple and graceful, it adds a complementary accent without distracting from your display. 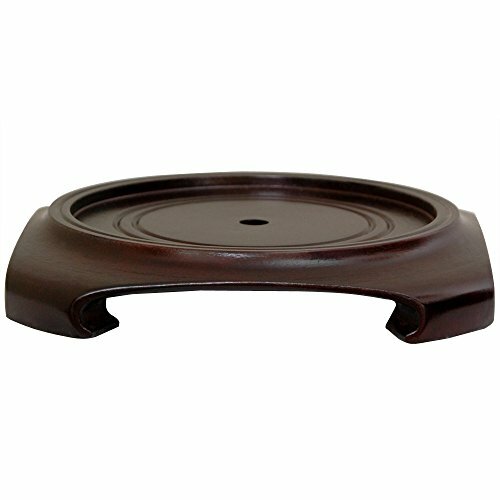 These round wooden display stands made out of high quality rosewood look that will complement your favorite small vase jar or lamp without distracting from it. it will precisely fit whatever you choose to display upon it. 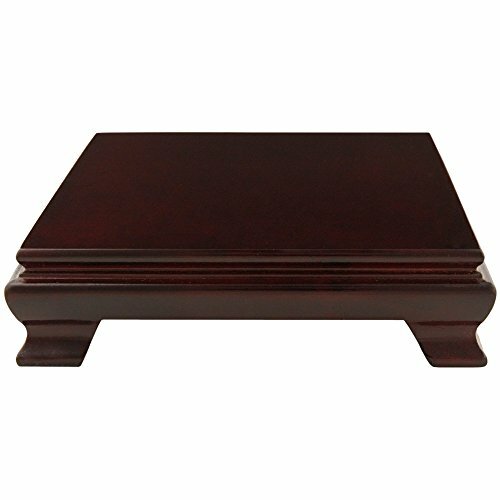 Simple and stately, this regal rosewood stand is the perfect place to present an urn, bowl, bust, or other decorative object. A stunning, two tone light and medium Cherry stain Rosewood nightstand. The convenient top drawer is easily accessed from the bedside and the low bottom shelf provides lots of practical storage for reading materials, crafts, water, anything one might need during the night. A simple, well crafted design, particularly useful for keeping items close to the bedside or inside a drawer. The authentic Ming edged top is a classic "floating" panel design, to adjust to changes in moisture due to heating and cooling. An elegantly finished, distressed black lacquer nightstand or end table, hand crafted from fine quality kiln dried Rosewood. A beautiful and practical design, with an easily accessed top drawer and open bottom shelf area, great for storing bedside reading. Designed with the classic Ming edged floating panel table top, to tolerate expansion from changes in moisture content in the wood. The drawer pull is carved in the shape of a "Shou", symbolizing long life. 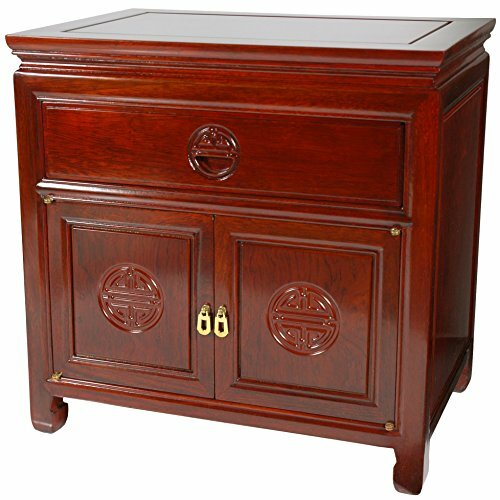 A beautiful and distinctive nightstand, crafted from fine kiln dried Rosewood in a simple Ching dynasty era design. A sturdy and durable cabinet, designed to last for generations, providing a large table top, convenient top drawer and large open shelf , for books, crafts and necessities. The "wing" sides on these end tables are a design element thought to attract positive forces to the household. In modern Chinese woodworking and cabinetry tradition, they're part of an ancient heritage of exceptional, beautiful home furnishings. 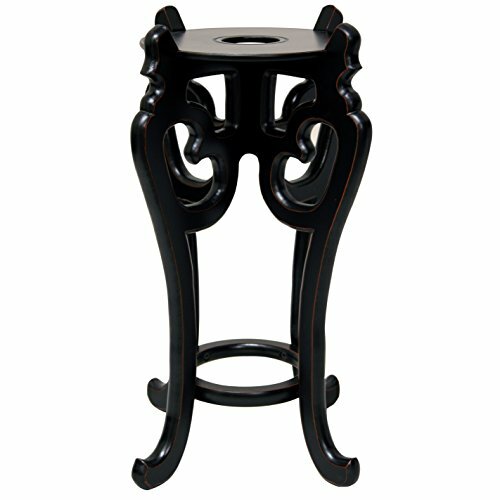 A fine quality oriental style end table, with an outstanding, hand rubbed distressed black lacquer finish. Solid, beautifully crafted kiln dried Rosewood, with authentic hand carved key design accents. The elegant geometric lines of the leg supports are beautifully accentuated by the distinctive antiqued finish. 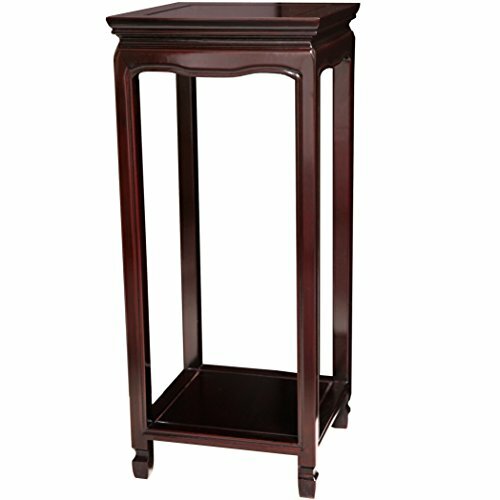 These are classic Chinese design end tables, solid and sturdy, as well as light weight and practical. Note the legs are removed for safe shipping, simple assembly is required. 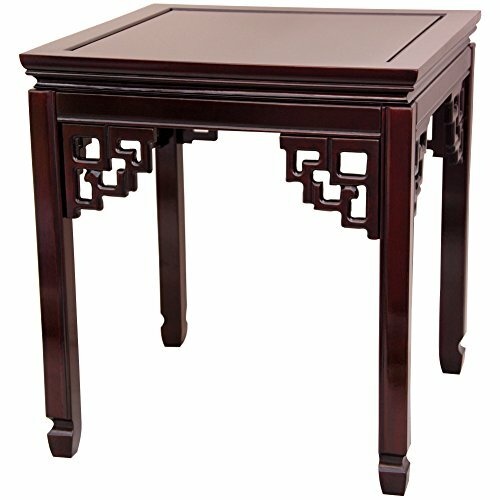 An exceptionally well crafted, solid Rosewood nightstand, built with a classic Ching style "winged" table top; a distinctive, unique decorative design. 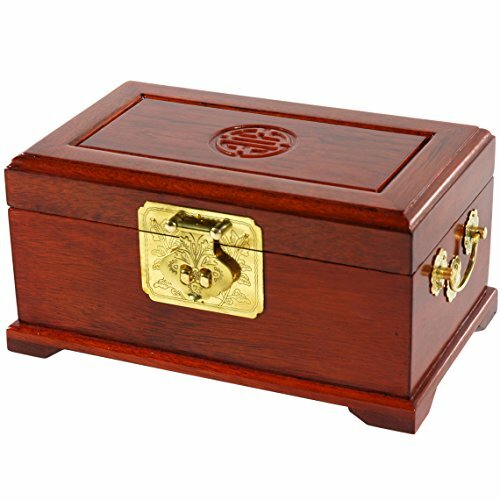 The convenient top drawer is carved with a series of three auspicious "Shou" symbols, labyrinth like medallions thought to encourage happiness and long life. Finely finished Rosewood both looks and feels beautiful, with a wonderful, rich, elegant wood texture. Crafted in a small wood working cooperative of master craftsman in southern Guangzhou, we are proud to be the exclusive U.S. importer of these stunning cabinets. An elegantly compact Far Eastern design accent cabinet; at only ten inches deep, it takes up very little floor space wherever it's placed. A beautiful, elaborately carved cabinet, crafted from exceptionally fine, kiln dried, distressed black lacquered Rosewood, with hand carved geometric "key" design shelf rails and carved "Shou" symbol medallions and drawer pulls. This is a traditional oriental tea cabinet, built in similar configurations for hundreds of years with overhead drawers for tea, a lower cabinet for teapots and cups and a center shelf to prepare the tea. Great looking in practically any room, home or office, with a great combination of drawer, shelf and cabinet space. 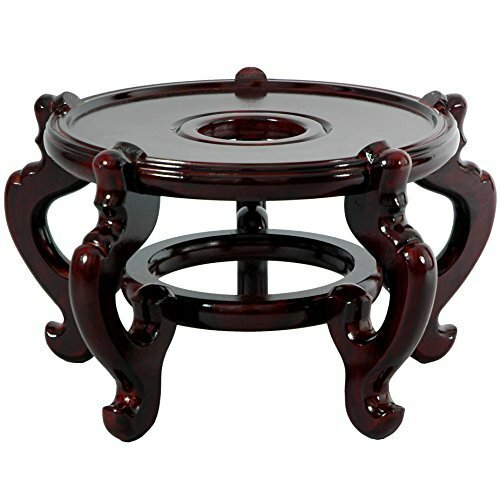 The Oriental Furniture Rosewood Tea Tray is stylish and practical. 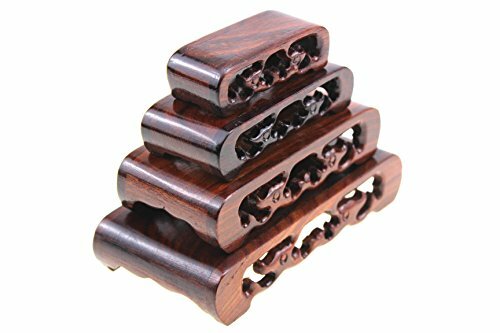 It's hand-carved from sturdy Rosewood by skilled Chinese artisans. The surface is enhanced and protected by a high-quality matte lacquer. The inset top helps make items easier to carry, and the legs fold up, making this tray easier to store when it's not in use. In addition to being a tray, this piece can also be used a nifty floor desk. Oriental Furniture What began in 1985 as a simple retail store in Natick, Mass., has now blossomed into Oriental Furniture, one of the largest online retailers of furniture, gifts, and accessories. The company combs the globe for beautiful, quality products, and imports items directly from around the world in order to reduce costs for customers. With a wide variety of products available, Oriental Furniture offers distinctive design solutions for the style-minded home decorator.